Once your pieces are traced, you can proceed to the completion of the articulations. Articulations are an important aspect of any cut-out break down, without them a puppet cannot move properly and will not look good. In this section, you will learn about classical articulation. 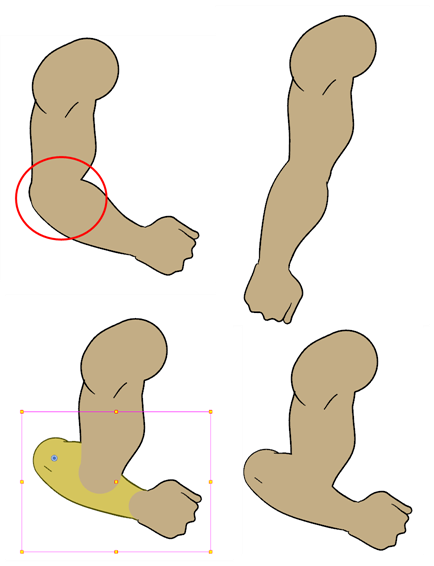 Classical articulation is the most popular technique for basic characters. It is quite simple and produces excellent results, but it is not the most efficient method. In many instances, it causes limitations and extra drawing corrections. For example, there may be a gap in the articulation if the part is bent too far. 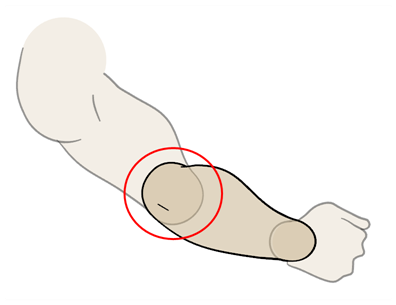 Joint design is usually designed as a circle; the overlapping part cannot be sent behind without showing the joint. 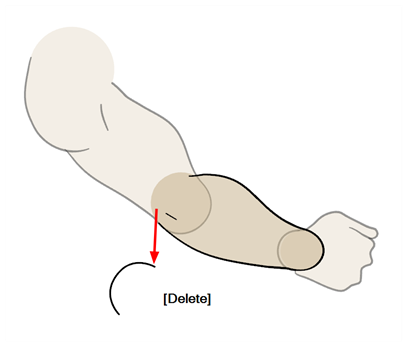 For a more advanced articulation, see Patch Articulation in the Appendix section. Classical articulation is done by erasing a part of the line from the overlay layer, leaving the colour overlapping the bottom one. Repeat the following instructions for all the articulations on your puppet. 1. 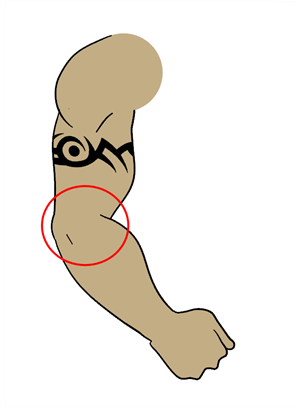 In the Timeline view, select the cell containing the first part to modify, such as the upper arm. 2. 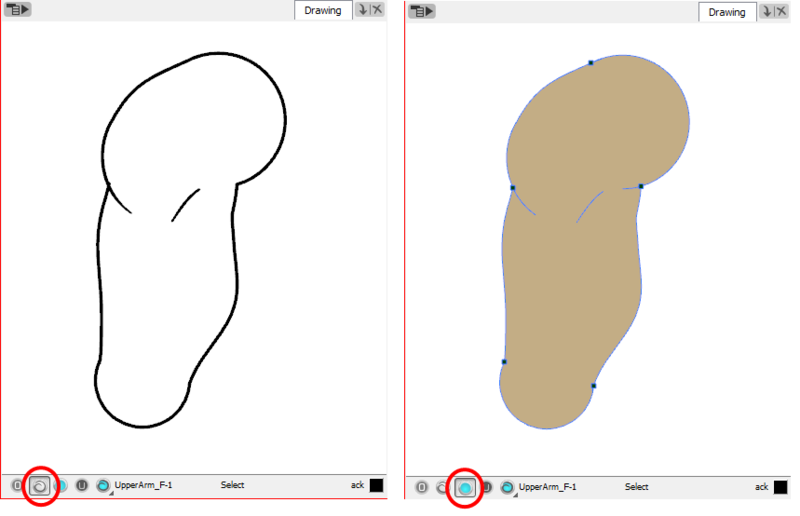 In the Tools toolbar, select the Pencil, Polyline, Ellipse, or Contour Editor tool. 3. In the Colour view, select the outline colour. 4. 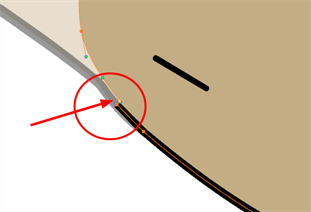 In the Drawing or Camera view, use your drawing tool to make sure that the joint is overlapping the other part in a half-circle shape. ‣ If you are working in the Drawing view, click on the Light Table button located in the Drawing View toolbar or press [Shift] + [L]. 5. 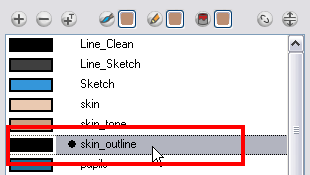 In the top menu, select View > Show > Show Strokes to display the invisible lines that could be present in your drawing. You can also press [K]. 6. In the Drawing or Camera view, select all the strokes in your drawing. 7. In the Tools Properties view, click on the Flatten button. 8. In the Drawing or Camera view, select all the strokes in your drawing. 10. Repeat Step 1 to Step 9 for the other part of the joint. 11. In the Timeline view, select the cell of the part that will be on top of the joint. 12. In the Tools toolbar, choose the Select, Cutter or Eraser tool. 13. 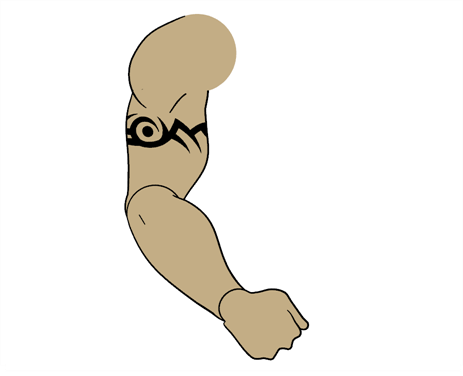 In the Drawing or Camera view, remove a part of the overlapping outline in order to have only the filling colour overlapping the joint. 14. In the Tools toolbar, select the Contour Editor tool. 15. In the Drawing or Camera view, adjust the colour fill so that the pencil outline does not overlap it. Be careful not to leave a gap between the line and the fill. 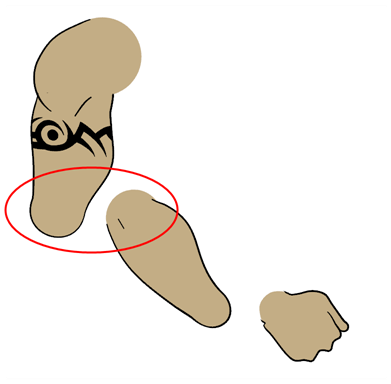 When placing rotation pivots later on, make sure they are positioned at the centre of the articulation. 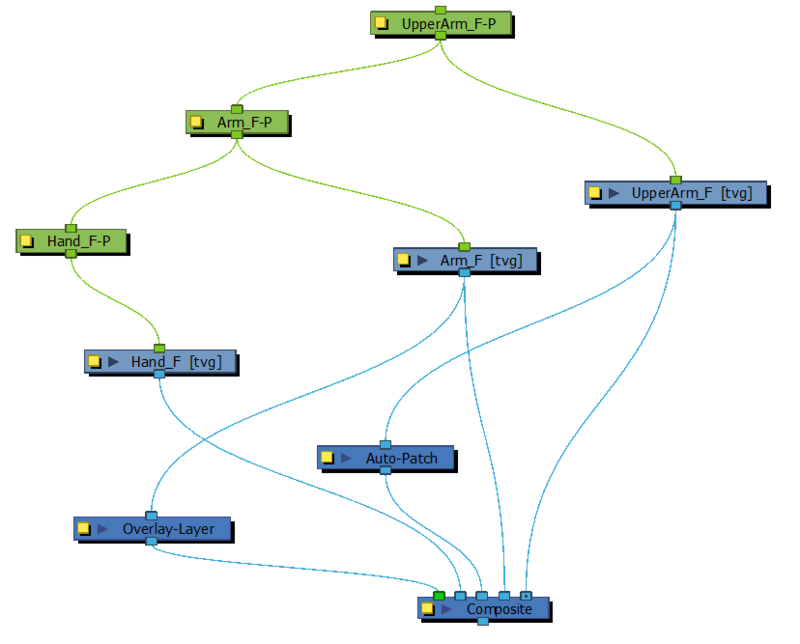 Harmony has a very efficient module to automatically patch an articulation without you having to do any line adjustment or colour overlapping. You can draw your two pieces with their complete lines overlapping each other in semi-circles and the Auto-patch module will create a perfect articulation out of it. See Auto Patch. For the Auto-patch to work on your puppet, the only condition is to draw the outline with the Pencil tool (pencil lines) on the Line Art layer or y our drawing and paint the colour on the Colour Art layer of your drawing. See Creating Strokes to Paint Your Drawings on a Separated Layer . 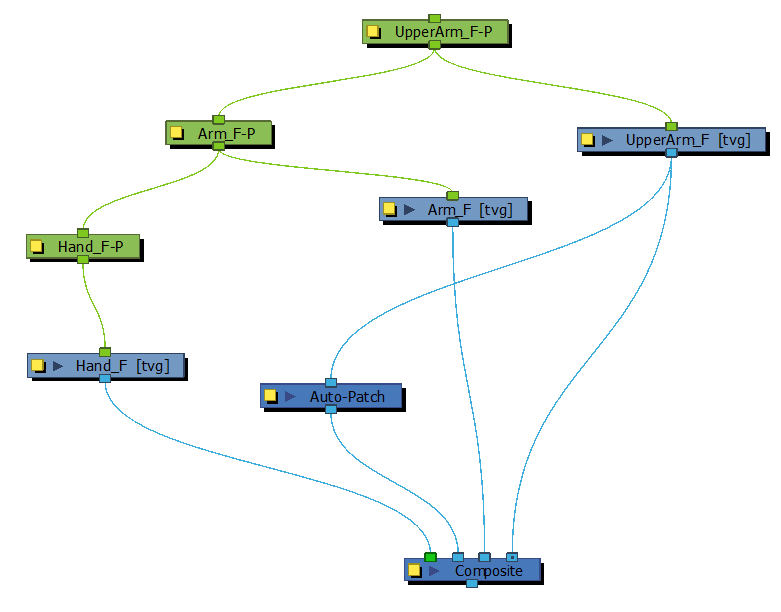 Refer to the Auto Patch topic to learn how to connect your modules in the Network view and learn more about the effect, Here is an example of an arm rigged with the Auto-patch module. 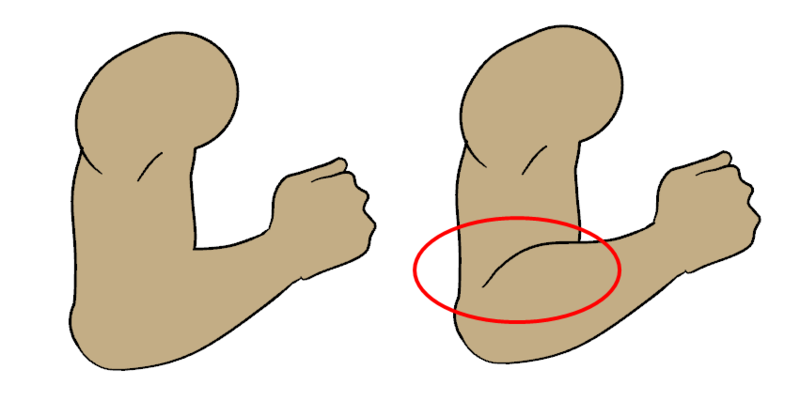 You can use this technique in an even more efficient way by adding extra lines in the Overlay layer of your drawing to create a fold illusion for an elbow bending.